If there's one key item that is always in my bag...it's a granola bar because G-d knows if me or my kids ever get hungry we get ANGRY until we eat. So when Kind Snacks asked us to build a Party Box for a group of their favorite people, we shouted YAY! We had so much fun with this box. 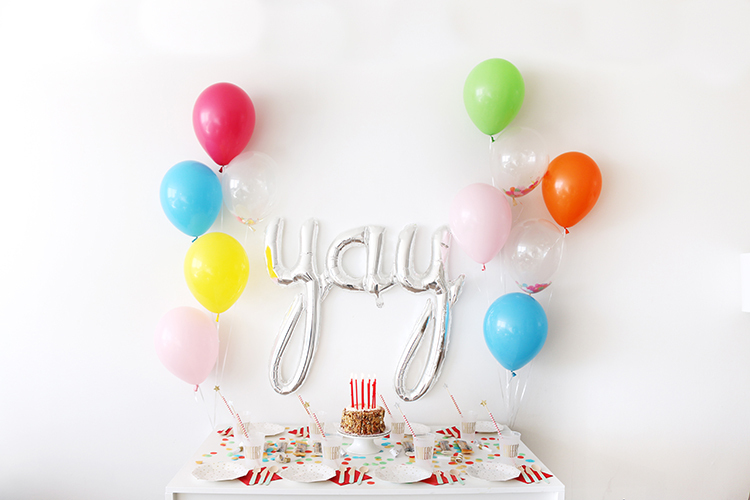 True to the fun, bold, Kind Snack brand colors we flanked a huge script balloon script that says YAY with colorful balloons. We took a plain white cake and layered it around with KIND Snack bars. Every slice, gets a bar. Oh heck yum. 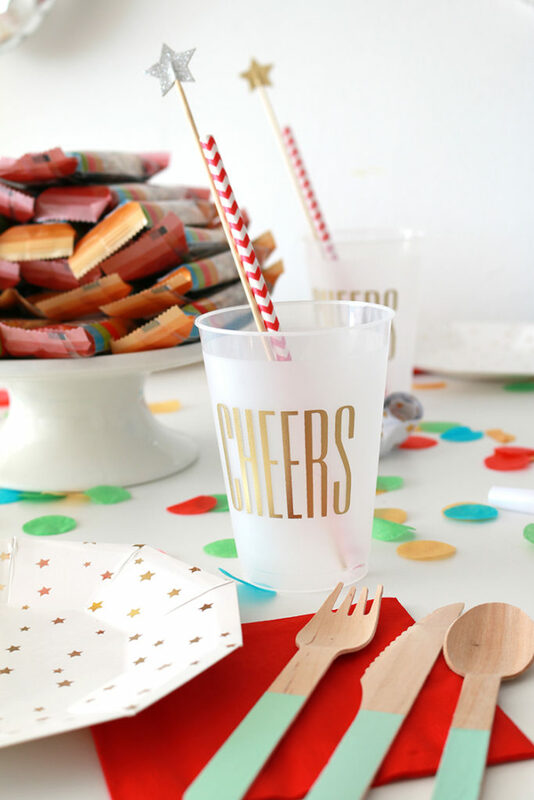 And we set the table for one to celebrate with family and friends, food and drinks! This box was built exclusively for Kind Snacks but you can shop the box here for tons of great parties!